TheRustedChain - The Blog: What's that smell? 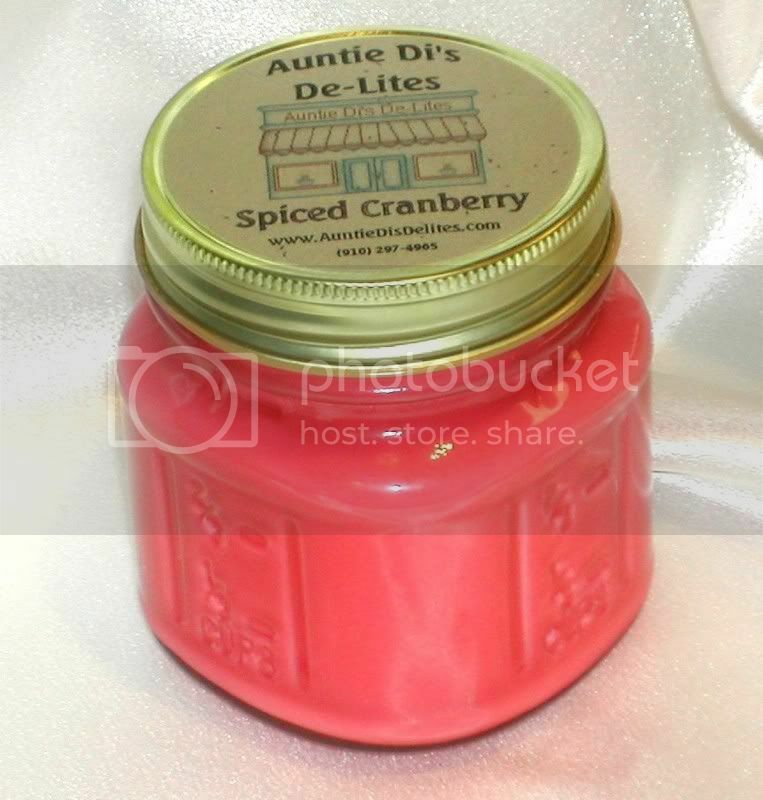 It smells FABULOUS in my home thanks to the new candles I received from AuntieDis. I received Spiced Cranberry and MacIntosh Apple and they are just divine! Together they put off the perfect aroma that gets me all warm and fuzzy inside thinking about fall, while trying to ignore the 100 degree temperatures. I'm already beginning to imagine days with crisp air, playing in the leaves with the kids, visits to pumpkin patches, while wearing a great pair of jeans, boots, and a denim jacket with a floral brooch. Then of course we'd come indoors and enjoy a cup of warm, but not too hot, apple cider. We can finish by snuggling on the couch under a flannel blanket and watching a family movie together. Then it's time to tuck the kids in to bed, kiss their noses, wish them sweet dreams, and thank God for the blessed life we've been given. Can you believe I got all that from a couple of candles?! These things are awesome I tell ya! I loooove them! I could SO use that right now...my house has a bad un-identified odor as of 2 days ago. Ugh I can't get it clean enough. wish i could smell them, but i am satisfied with the awesome song you have on today! love it!!! I'm with you! Candles are awesome. Oh I love the smell of apple. I too like to burn candles. I love the way your imagination whisks you away! Oh that sounds like heaven right now. We have reached 107-109 the past oouple days and it is unbelievably hot!! !